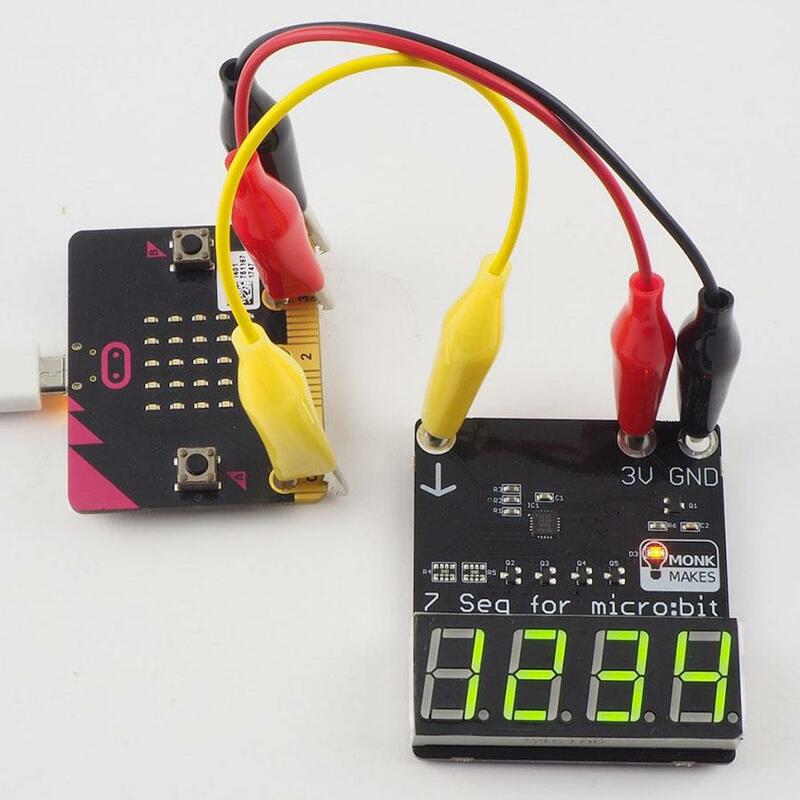 The 7-segment for micro:bit is a four digit 7-segment display for the micro:bit. You can use it to display numbers, letters and other characters. 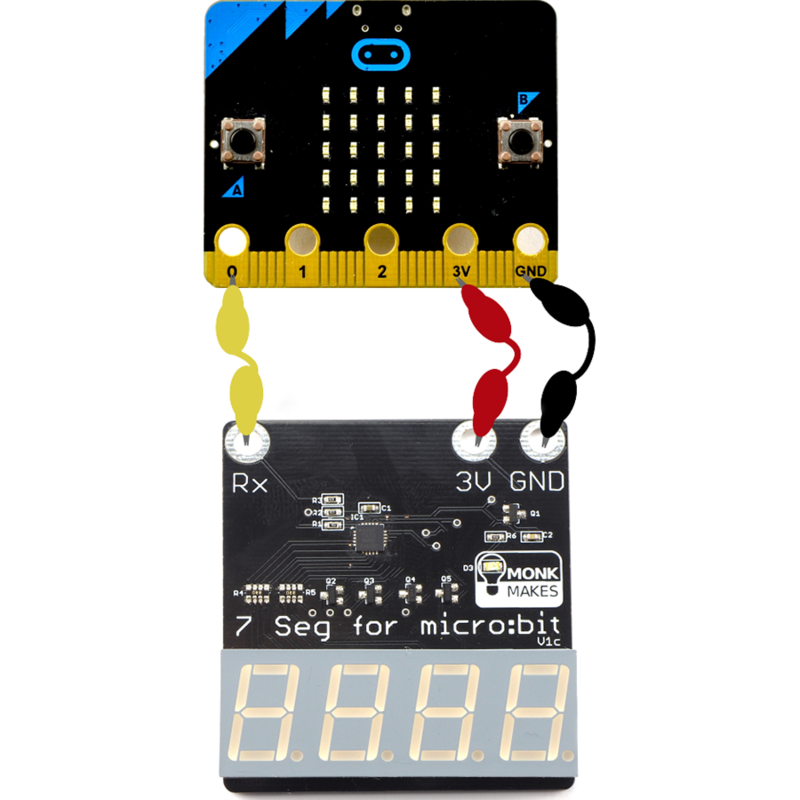 The 7-segment for micro:bit is a four digit 7-segment display for the micro:bit. You can use it to display numbers, letters and other characters, albeit with the limits imposed by the 7 segments of each digit. Powered directly from micro:bit pins it can be used to send messages to the display using the micro:bit's serial blocks. 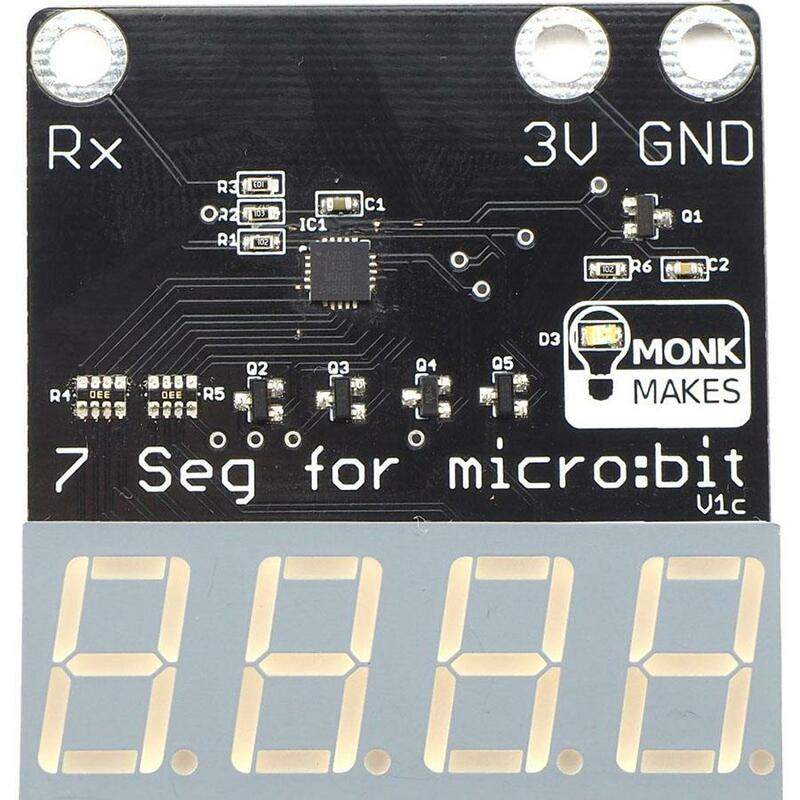 Note: The Monk Makes 7-Segment Display for the BBC micro:bit does NOT include a BBC micro:bit. The BBC micro:bit board will need to be purchased separately. © 2015-18 CD-Soft. All rights reserved.